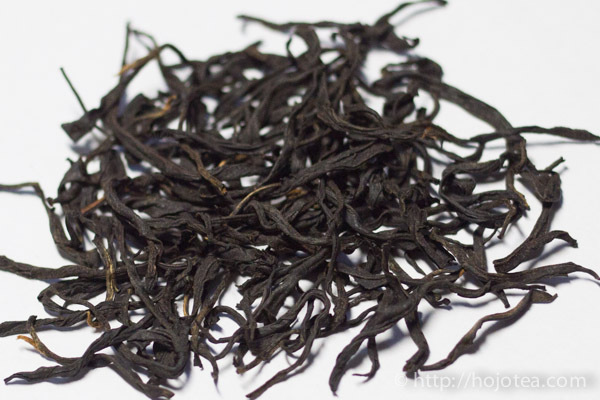 About 3 years ago, in the year 2010, I purchased this black tea which its tea leaves were initially meant for the production of Phoenix Dan Cong oolong. 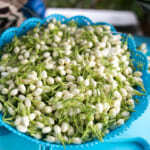 It was made by the manufacturers for trial purposes. 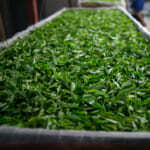 This tea was harvested from a tree that aged about a few hundred years old and grown at the Wu Dong Mountain. 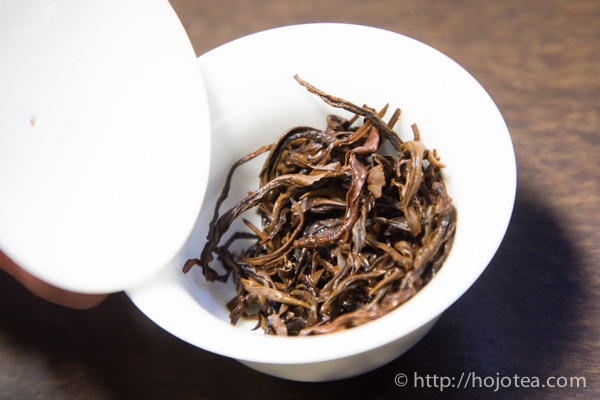 It provides a very deep finishing similar to that of the high-end Phoenix Dan Cong oolong. 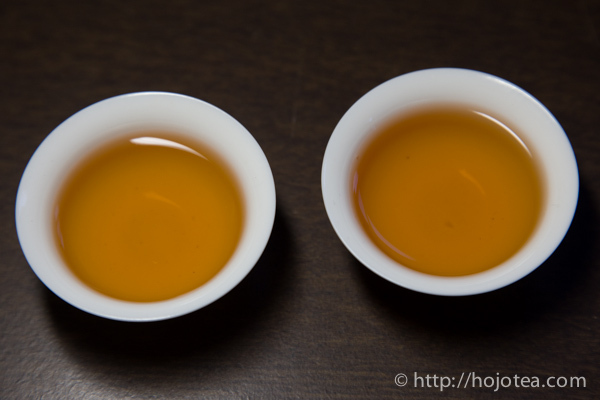 This tea does not have the flavour of Phoenix Dan Cong oolong though it was produced from the leaves intended for it. 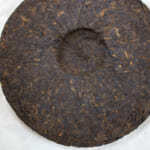 The process of this tea is somehow very different since it undergoes the process of making black tea. 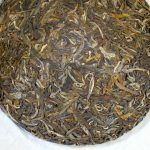 Therefore, the tea leaves are more deeply-fermented than the oolong tea and it produces a matured dried fruit flavour which reminds me of the dried figs. 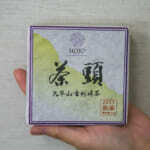 When I just bought this tea in 2010, there was an absence of great character though I recognized that this was good tea. 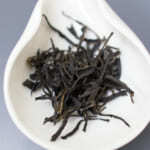 Hence, I decided to conduct further maturation to develop more flavour by storing this tea without oxygen. 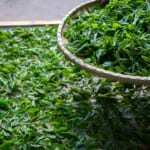 Now, I felt that its flavour has properly developed and I enjoy a cup of tea that is well balance between its flavour and the after taste. I do believe it would be even better if we keep it for another few more year. Still, the decision is for you to make since everyone has their own preference of tea. 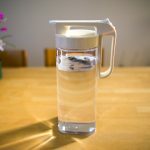 Use sufficient tea leaves (about 5 to 6 grams) in a lesser volume of water (approximately 100ml). 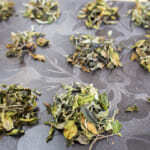 Next, quickly rinse the tea leaves with boiling water twice and pour in the boiling hot water again. The brewing time should be less than a few seconds. Hence, with the right technique, you should be able to brew up to 10 times or more.